When did you realize you wanted to go into this field? I’ve been cooking since I could stand on two feet and lift a sauté pan without smacking myself in the face. All my memories as a child are in the kitchen, learning and experimenting with meals. I adored reading cookbooks, taste-testing foods my friends thought were strange, and watching food TV. I always knew I would work in food, it just made sense. I was quite young and watching Food Network’s Iron Chef America, and a contestant’s backstory mentioned he was “trained at the CIA.” I immediately web searched to decipher which CIA they meant, and discovered there was such a thing as a college completely dedicated to food and cooking—something that blew my 7-year-old mind! I knew in an instant, the CIA was where I had to go. It was also a chance to escape my small hometown and start a life completely dedicated to food. Do you feel like the CIA prepared you for what you’re doing now? Yes! At the CIA I learned the importance of time management, culinary fundamentals and cooking techniques, classic and unique flavor combinations, artistic food plating, culinary marketing, business development, giving and receiving critical feedback, and working well within a team. All these lessons serve me well in my complex role as a producer at Tasty. How did scholarships and/or grants help you reach your goal of getting a CIA education? Without scholarships I could not have paid for one semester of college let alone pay for all four years. 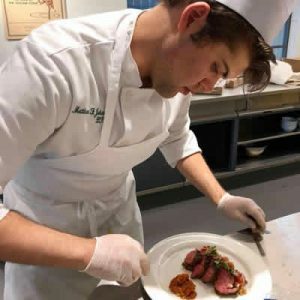 My parents were unable to pay any of my college expenses, so during my four years at CIA, I applied for every online scholarship, CIA grant, and cooking competition I was eligible for. I would hear nothing back from my scholarship applications, but suddenly a win would come just in time to pay for another semester. Ultimately, I earned a total of 18 large scholarships and four competition wins, netting me a little over $175,600. That paid for the entirety of my CIA education, leaving me free of student loans or debt. It was a very risky and unorthodox way to pay for college, I know, but it was what I needed to do. I loved that being a student at CIA was the first place I could truly let my foodie freak flag fly! As a kid, no one else loved food as much as I did. I was so accustomed to being the only person who valued cooking and dining to an almost addictive degree. At the CIA, not only did I get to showcase my own geeky love of food, but all my new friends were just as obsessed with it! It’s the perfect place to be completely wrapped up in your culinary passions! The CIA gave me the chance to delve deeper into my own interests, skills, shortcomings, and ambitions to create my own career path. It provided the perfect environment to discover my unique culinary voice. The three best lessons I learned at CIA were always show up early and prepared, food is the great equalizer, and always have a side project. As a freshman I always heard this quote, “Five minutes early is on time; on time is late; late is unacceptable.” Since then, I’ve always shown up at least 10 minutes early for every engagement. These extra 10 minutes let me relax, feel in control, and get ready for any upcoming challenges. While dissecting the phenomenon of food memories and food history in my gastronomy classes, I learned that food is the great equalizer and a universal language. I realized food has tremendous power to bring people together from any background, and that as chefs, that’s a powerful language to be proficient in. I learned the importance of always having side projects to keep my creative passions at the center of my life. At the time, I didn’t understand why doing more work relaxed me from my already busy schedule at CIA, but it did. Creating 300+ food YouTube videos while still a student improved my résumé, gave me more material for scholarships, clearer career goals to work towards, and a peace of mind that each day I accomplished something unique, special, and completely my own. What was the most impactful class you took at the CIA? My food writing class with Professor Anne Henry was immensely impactful. Through her curriculum, I got to meld my love of food with storytelling in a setting where my peers could offer feedback. 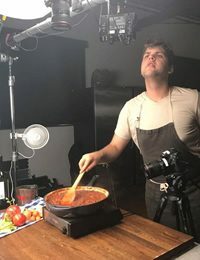 I learned how to be a better writer, a more critical thinker, and I finally realized the unconventional chef’s career path is actually a better fit for me. 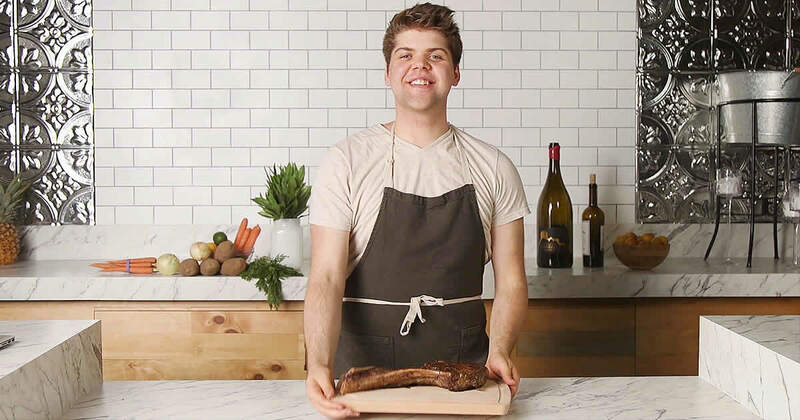 I love being a chef and Tasty producer at BuzzFeed because I’m able to put all my passions together into food videos that touch so many people all over the globe. I’m able to grow as a culinary artist every day. I also love that my position is preparing me for larger roles as a chef and visual storyteller. This is just the beginning of a life full of culinary creativity. My advice to CIA students is to make the most of every moment! There will be no other time in your life when you will be so completely and unabashedly surrounded by food and the people who love it. Document every experience and lesson! Foster the relationships you are building, as your peers will one day be running the food world alongside you. Get involved! This is your time to stretch and develop all your other passions in addition to food! Chef Johnson majored in culinary arts management at The Culinary Institute of America in Hyde Park, NY. 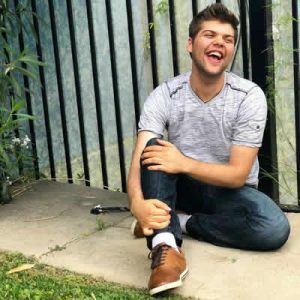 He is a chef and junior video producer for BuzzFeed’s Tasty series based in Los Angeles, CA.